New Delhi: The Supreme Court of India today dismissed the curative petition of Yakub Memon, the sole death row convict in the 1993 Mumbai serial bomb blasts case. 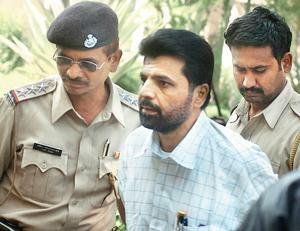 Memon will now be executed in the Nagpur Central Jail on July 30. Yakub was sentenced to death by a designated TADA court in 2007 after it found him guilty of playing a key role in the criminal conspiracy. After the Supreme Court on April 9 rejected a review petition filed by Memon, the state had started the process for execution by obtaining permission from the TADA court. The curative petition was Memon's second review plea with the apex court. President Pranab Mukherjee had turned down Memon’s mercy plea last year. Memon, a chartered accountant, is the brother of fugitive terror mastermind Ibrahim Mushtaq 'Tiger’ Memon. According to the CBI, which investigated the case, Tiger Memon got Yakub involved in planning and plotting the serial blasts that killed 257 people and injured about 700 on March 12, 1993. Now, the Maharashtra government will hang Yakub Memon at 7am on July 30 after the Supreme Court turned down his mercy plea. 7kS6h2 Very Fascinating Weblog! Thank You For This Blog!